SYREETA-THE RITA WRIGHT YEARS: RARE MOTOWN 1967-1970. When Rita Wright got a job as a receptionist at Motown in 1965, little did she realise that in the space of seven years her life would be transformed beyond all recognition. This transformation began when Rita Wright became producer Mickey Stevenson’s secretary. It was through him, that Rita met Brian Holland of Holland, Dozier and Holland. He became Rita’s mentor, helping and encouraging her to hone her vocal talents. Soon, this began to pay off, and Rita graduated to singing on demos. 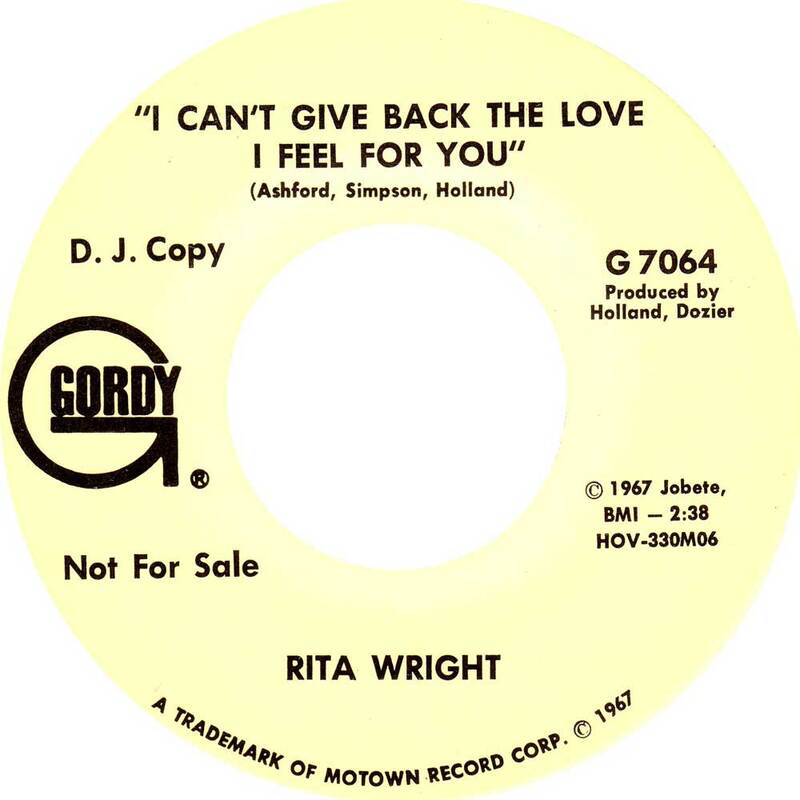 Then in May 1967, Rita Wright recorded the song that would become her debut single, I Can’t Give Back the Love I Feel. Seven months later, and I Can’t Give Back the Love I Feel was released as a single on Gordy in January 1967. Alas, the single neither won over DJs nor record buyers, and failed to trouble the charts. For Rita Wright, this was a huge blow. It would be another four years before Rita Wright returned with her sophomore single. Meanwhile, Rita Wright’s recording career continues. The only problem was, that none of these recordings were being released as singles. Most of them make their debut on Syreeta-The Rita Wright Years: Rare Motown 1967-1970 which was released by Kent Soul, an imprint of Ace Records. These songs feature the early years of Rita Wright’s career. Her story began in Pittsburgh, in 1946. Rita Wright was born in August 1946, in Pittsburgh, Pennsylvania. For the first four years of Rita’s life, the Wright family lived in Braddock. Sadly tragedy struck when Rita was four, and her father was killed whilst serving in the Korean War. This resulted in the Wright family moving between Pittsburgh, Carolina, and Detroit. Eventually, though, the Wright family settled in Detroit. By the time Rita Wright was a teenager, Detroit had vibrant music scene. She was already singing in local groups around Detroit. The members of these bands all dreamt of releasing a record, and enjoying a hit single. Especially if it was on Detroit’s most successful label,..Motown. Rita Wright was no different. However, when she first arrived at Motown, it was to work as a secretary. This was in 1965, when Rita Wright was nineteen. Soon, though, she began to climb the corporate ladder. Rita progressed to working as a secretary for producer Mickey Stevenson. Then, Brian Holland of Holland, Dozier and Holland started working with Rita, helping her to hone her vocal prowess. Soon, she was singing on demos. That was how Rita Wright found herself recording the vocal for I Can’t Give Back the Love I Feel. The songwriting partnership of Ashford and Simpson had recently arrived at Motown. They had penned I Can’t Give Back the Love I Feel with Brian Holland. He and Lamont Dozier would produce what would become Rita Wright’s debut single. She recorded her vocal on 17th May 1967. Now it was a waiting game. Nearly seven months passed before I Can’t Give Back the Love I Feel was released on the Gordy label 11th January 1968. On the B-Side was the heartfelt ballad Something On My Mind, another Ashford and Simpson composition. When I Can’t Give Back the Love I Feel was released, it failed to find an audience in America. Without the all important radio play, Rita Wright’s debut single was dead in the water. Over the Atlantic, it was a different story. In February 1968, I Can’t Give Back the Love I Feel was released in Britain on the Tamla Motown label. The single was played on radio, but didn’t sell sufficient copies to reach the charts. However, I Can’t Give Back the Love I Feel had sold enough copies that Rita Wright was something of a cult figure within the UK soul scene. This seemed to augur well for the future. 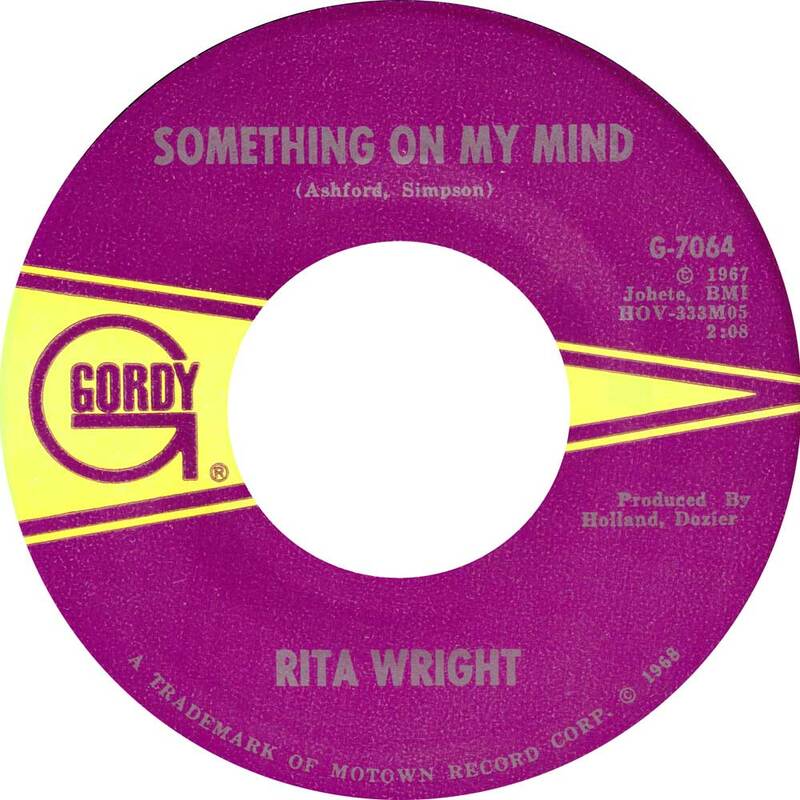 Following the commercial failure of her debut single, Rita Wright returned to the studio on 16th February 1968. She recorded Beware Of A Stranger which originally, had been assigned to Tammi Terrell, but was reassigned to Rita Wright. Maybe the song was being earmarked as a potential followup to I Can’t Give Back the Love I Feel? It certainly would’ve made a good single. This soulful warning shot was written and produced by Ashford and Simpson. With Beware Of A Stranger recorded, any thoughts of releasing it as single were shelved when I Can’t Give Back the Love I Feel flopped. Suddenly Beware Of A Stranger, the song which could’ve launched Rita’s career was shelved. Rita didn’t return to the studio until 26th June 1968. That day, Rita Wright was due to record You Made Me Feel Like Everything Was Alright. It had been written by Stephen Bowden, James Dean and William Witherspoon. When Rita arrived at the studio on 26th June 1968, there was no sign of Ashford and Simpson. Instead, James Dean and William Witherspoon produced the session, where Rita unleashed a soul-baring, powerhouse of a vocal. She breathed life and meaning into the lyrics. Despite that, the song remained unreleased. Just three weeks later, and Rita Wright recorded It Don’t Mean Nothin’ To Me on 14th July 1968, Stevie Wonder had entered her life. The pair were a couple, and Stevie Wonder cowrote and co-produced her next session. Rita was due to record Lulu Hardaway, Don Hunter and Stevie Wonder’s Ain’t I Gonna Win Your Love. It was produced by Don Hunter and Stevie Wonder. This was the first, but wouldn’t be the last time Stevie Wonder worked with Rita Wright. However, he was absent from the next recording session, on 29th July 1968. This time around, Rita Wright was recording Robert Hamilton and Joanne Bratton’s That’s What He Told Me. It had been originally assigned to Brenda Holloway, but was later reassigned to Rita. With producer Richard Morris, she recorded a catchy slice of uptempo soul. However, it too remained in the Motown vaults. Still, Rita Wright continued to record new songs . On the 12th of August 1968, she recorded the Jack Goga and Ivy Hunter composition, Where Is The Love. Producing the session was Ivy Hunter, who coaxed and encouraged a performance out of Rita. It’s a mixture of power and emotion, as Rita questions and wonders Where Is The Love? Having nailed an impressive performance, Rita wouldn’t return to the studio until September. Rita Wright returned to the studios on 7th September 1968. This time, the session took place in Los Angeles, which would become Motown’s headquarters in 1969. Rita Wright would move to L.A., but in September 1969 was due to record two songs. The first was Helen and Kay Lewis’ penned Where There’s A Will There’s A Way on 7th September 1968. Producing the session, was none other than Hal Davis. He sweetens the song with swathes of lush strings, as the Motown sound is given a smooth L.A. makeover. This really suits Rita’s vocal on this ballad, but sadly, when she returned later in September, there was no sign of Hal Davis. Rita Wright returned to the studio in L.A. on 19th September 1968. She was due to record Love Child. The rhythm track had been recorded, with strings added the day before Rita arrived. All that remained was for Rita to lay down her lead vocal. As Rita lay down her vocal, The Clan took charge of production. What followed was one of the finest moments of Rita’s early career at at Motown. It was a song that had a much more traditional Motown sound, and was reminiscent of The Supremes. That’s no surprise. Motown’s golden girl, Diana Ross, entered the studio on 19th September 1968. She spent two days recording her vocal on Love Child and left the studio on 20th September 1968. This left just The Supremes to add their parts. The Supremes entered the studio on 30th September 1968. By then, The Supremes had been relegated to La Ross’ backing band. They recorded their backing vocals, and the second version of Love Child was complete. However, only one version was going to be released. Less that two weeks after recording Love Child, Rita Wright returned to the studio to record (Touched) By The Hand Of Love on 8th October 1968. It was penned by Hank Cosby and Sylvia May, and originally, had been assigned to The Supremes. However, it was reassigned to Rita, who recorded the song with producer Hank Cosby. He had previously worked with The Supremes, and this shows on the arrangement. Rita sounds not unlike Diana Ross, in a song where hooks haven’t been rationed. Despite that, the song was never released. This was becoming a familiar story for Rita Wright. Maybe her fortunes would improve in 1969? It wasn’t until 25th February 1969 that Rita Wright returned to the studio. That day, she recorded Give Me The Good Things, which had been written by Walter Fields and Jack Goga. He also produced the song. However, Jack Goga wasn’t sure about the vocal, and Rita returned to the studio and recut it on the 14th July and 15th August 1969. It was a case of third time lucky, with Rita nailing the vocal. Her vocal on third take was a mixture of urgency and emotion, from a singer who Motown’s best kept secret. Over a year had passed since Rita Wright had released her debut single, and there was no sign of her releasing a followup. Rita had recorded with numerous producers, but none of the songs were released. Despite this, Rita got the call to record a new song in August 1969. On 26th August 1969, Rita Wright returned to the studio, to record It Don’t Mean Nothin’ To Me. This beautiful ballad was penned and produced by Jimmy Roach. He was responsible for an arrangement where the Funk Brothers were accompanied by lush strings and horns. The result was a true hidden soulful gem, which showcases was perfect showcase for the talents of Rita Wright. She was maturing as a singer, but sadly, when it came to releasing singles, Rita remained on the sidelines at Motown. To make matters worse, Rita Wright hadn’t been recording as many songs as she had during 1968. She recorded eight songs during 1968, but by the start of October 1969, had only recorded two tracks that year. Nor was Rita any nearer releasing her sophomore single. It must have been a frustrating time for the twenty-three year old single. However, Rita got the call to record a new song on the 25th October 1969. This was Love My Lovin’ Man, which Leonard Caston and Mike Ossman had written. Leonard Caston had recorded the backing track and all that remained was for Rita Wright to lay down her vocal on the ballad Love My Lovin’ Man. Having done so, Rita’s luck changed. Just over two weeks later, Rita Wright was asked to record May His Love Shine Forever. It had been written by Hank Cosby and Joe Hinton. So on the 12th November 1969, Rita recorded the song with Hank Cosby taking charge of production. It’s a beautiful ballad, where gospel and soul are combined by Rita. She seemed to reach new heights on May His Love Shine Forever, but the song was never released. However, Hank Cosby must have been impressed by Rita’s performance, and the pair were reunited for another session later that month. This time, Rita Wright would record Since You Came Back, another song penned by Hank Cosby and Joe Hinton. Originally, the song had been assigned to The Supremes. However, it was later reassigned to Rita, and she was scheduled to recored the song on 20th November 1969. That day, Rita added her lead vocal while cooing harmonies were added. Gradually, Since You Came Back, with its joyous, feel-good sound took shape. Producer Hank Cosby had crafted a slice of poppy soul, that Motown seemed to specialise in. Despite having commercial potential, the song was shelved. That had been the story of Rita Wright’s first two years with Motown. Maybe her luck would change as a new decade dawned? As the seventies dawned, most of Rita Wright’s recording took place in Los Angeles. It had become Motown’s headquarters in 1969. Despite that, Rita continued to record in Detroit. Not any more. From 1970, she was living in LA. That was where she recorded several tracks with Hal Davis, who Rita had worked with in 1968. During 1970, Rita Wright recorded eight tracks at MoWest in LA with Hal Davis. This included I Want To Go Back There Again, a tender rueful ballad penned by Chris Clark and Berry Gordy. He also cowrote another Bad Boy with William “Smokey” Robinson. Hal Davis sweetens the arrangement, using swings and a piano whilst giving Rita delivers a vocal that’s a mixture of hurt and heartbreak. It’s a song that’s quite unlike the trademark Motown sound. Two of the songs recorded at the Hal Davis sessions, Hurtin’ Me (Became A Habit) and Can’t Stop were penned by Gloria Jones and Pamela Sawyer. They’re tailor made for Rita, who comes into her own under the tutelage of Hal Davis. His arrangements are the perfect accompaniment to her vocals. Gone is the stomping beat, allowing the vocals to breath. Mind, Body and Soul which Ronald Dunbar and Edythe Wayne cowrote, finds Rita delivering a vocal that’s a mixture of melancholia and soulfulness. Again, Hal Davis put all his experience to good use, with dancing strings and harmonies playing a leading role in the arrangement. It’s a similar case on You, which Jeffrey Bowen, Jack Goga and Ivy Hunter cowrote and the Sherie Matthews and Deke Richards composition Can You Feel It, Babe. The other two songs show different sides to Rita Wright. Another of the songs covered during the Hal Davis sessions was a cover of Laura Nyro’s Save The Country. It becomes a beautiful ballad. Very different is Holland, Dozier, Holland’s Love’s Gone Bad, which is an uptempo track featuring a vocal powerhouse from Rita Wright. She showcases her talent and versatility in the space of two very different songs recorded during the Hal Davis sessions. This was when Rita Wright recorded some of the best music on Syreeta-The Rita Wright Years: Rare Motown 1967-1970, which was recently released by Kent Soul, an imprint of Ace Records. Having worked with a variety of different producers and production teams, it was Hal Davis who was had three decades of experience behind him, that brought out the best in Rita Wright. She reaches new heights of soulfulness with Hal Davis’ guidance. His productions deployed strings and harmonies, which sweetened the nine songs he recorded with Rita between 1968 and 1970. He seemed to bring out the best in Rita, who was always destined for greatness. That’s apparent throughout Syreeta-The Rita Wright Years: Rare Motown 1967-1970, where Rita breathes life, meaning and emotion into the lyrics. Sometimes she seems to live the lyrics, and have experienced the hope, hurt, heartbreak and joy. Many of these songs had been written by talented and top class songwriters, including Ashford and Simpson, Gloria Jones and Pamela Sawyer, Hank Cosby and Joe Hinton, Hank Cosby and Sylvia May and Holland, Dozier, Holland. Similarly, Rita was often paired with experienced producers, who play an important part in the sound and belated success of these songs. Many were recorded nearly fifty years ago, but have only made their debut on Syreeta-The Rita Wright Years: Rare Motown 1967-1970. Belatedly, these musical hidden gems showcase Rita Wright before she went on to enjoy a successful career. 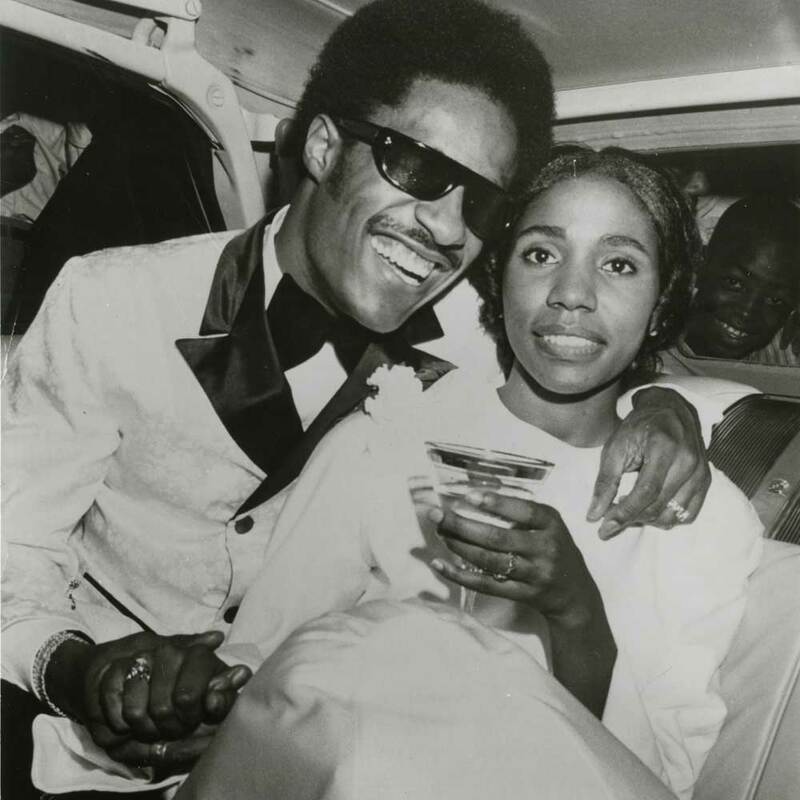 Before that, Rita married Stevie Wonder in London, around Christmas 1970. The marriage was short-lived, and by 1972 the couple were divorced. This didn’t stop Stevie Wonder producing Rita Wright’s debut album. In 1972, Rita Wright had reinvented herself as Syreeta. This was somewhat ironic, as it was the name that Berry Gordy had suggested back in 1967. It became Rita’s stage name, and the name that dawned her 1972 debut eponymous album. Two years later, came the followup Stevie Wonder Presents: Syreeta. Then in 1977, her third solo album Syreeta One To One, and her collaboration with CC Cameron Rich Love, Poor Love. However, it was in 1979 that Syreeta released a song that would become synonymous with her. With You I’m Born Again was a duet Syreeta had recorded with Billy Preston for the soundtrack to the movie Fast Break. The single reached number four in the US Billboard 100 and number two in the UK. Belatedly, Syreeta had released a hit single after twelve years of trying. Sadly, With You I’m Born Again was the biggest single of Syreeta’s career. She released a string of singles, and five further albums. However, Syreeta never reached the same heights. 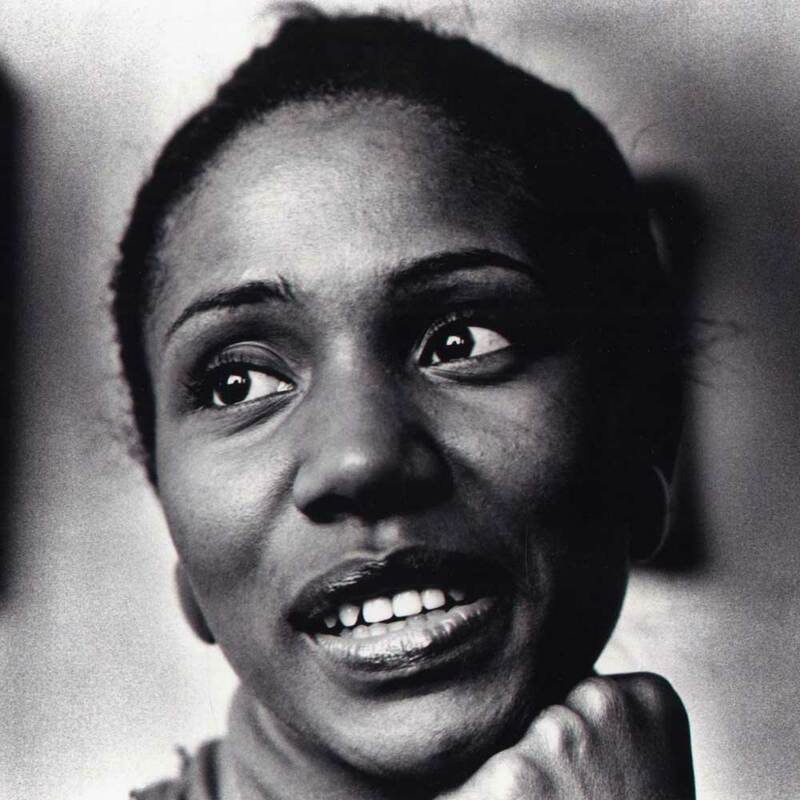 Syreeta’s career continued right up until her death in 2004, aged just fifty-eight. That day, soul music lost one of its most talented and best loved female vocalists, Rita Wright, a.k.a. Syreeta. 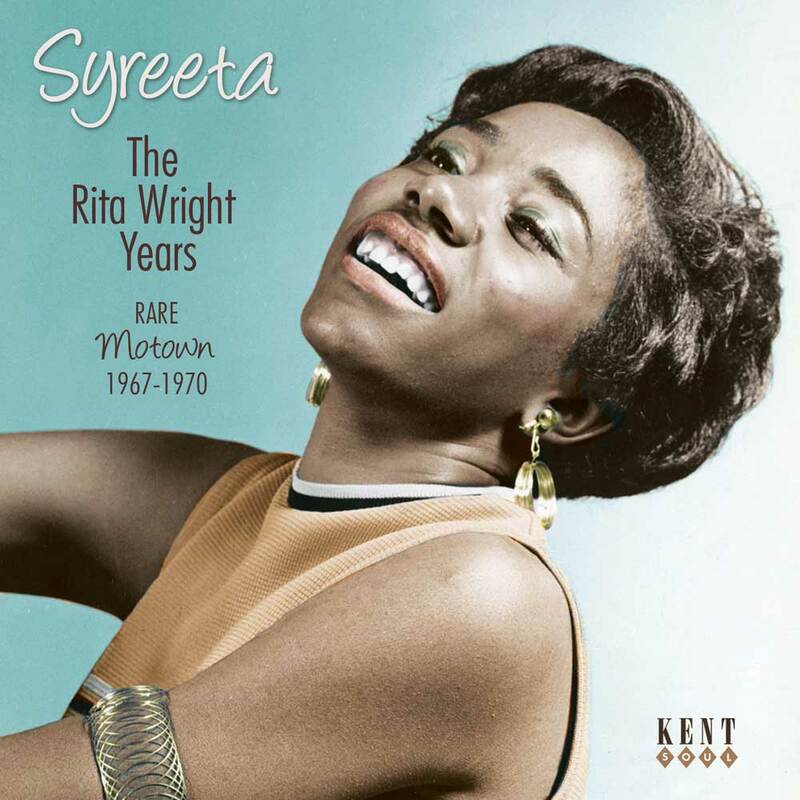 A reminder of this truly talented vocalist can be found on Syreeta-The Rita Wright Years: Rare Motown 1967-1970, which features a myriad of hidden gems from the early years of Rita Wright’s Motown career. ← BOO HEWERDINE-STILL LIVING THE DREAM.